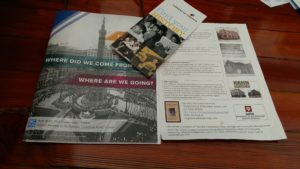 Program and other resources of NCPH 2017! As an educator and a historian, whether history matters to the world and the people in it is not really a question. It is our best gauge for what will happen in the future, it explains why things are the way they are, and it explains the differences and similarities we find between cultures and people. The problem with history today is that large portions of this country do not think it matters. Or that it only matter to white men who have controlled everything for as long as anyone can remember. This is the issue we tried to face at the National Council for Public History Annual Meeting. The conference, in Indianapolis and with numerous museums, businesses, and universities, represented, focused on how to make history more readily available and more meaningful to the wider public. Most attendees worked at museums or were professors or graduate students, but one topic that did come up several times was the question of why students do not find history meaningful. For many I have talked to, and I think many students would agree, the education system, especially at the high school level. So, as I went into this conference, I looked for answers to this question. How would I help my students see why history is important and how could I make it fun and engaging as well? 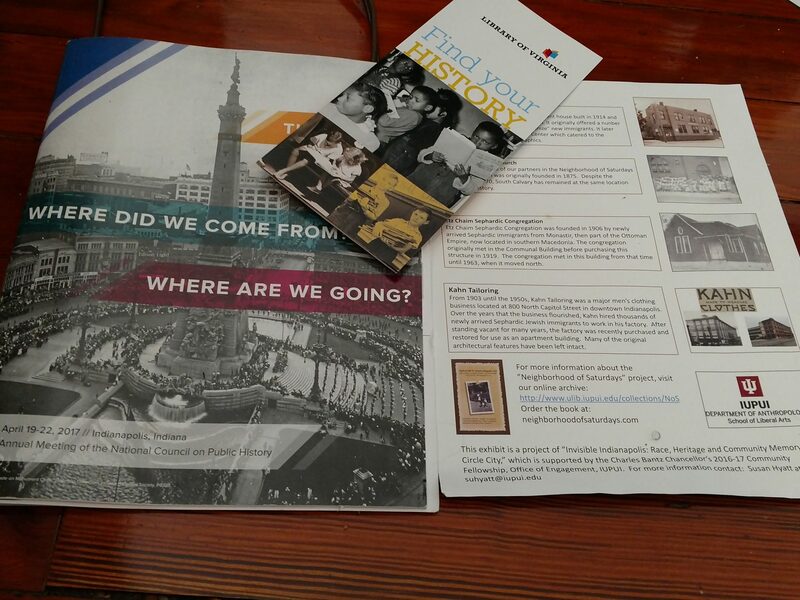 While I sat in several seminars and even went on a few tours of African-American history in Indianapolis, I gravitated toward two particular aspects that I could use in my classroom. 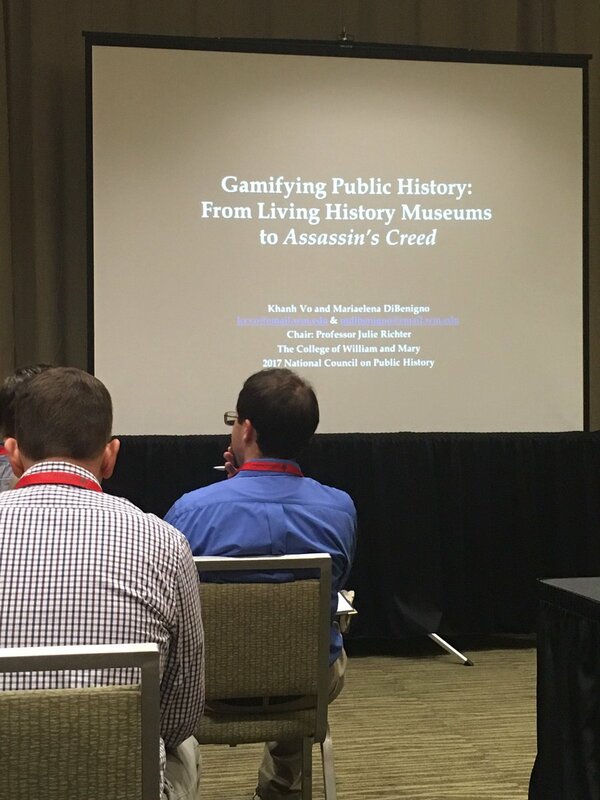 First was a seminar called “Gamifying History” and the second was a panel on bringing Professors in high school classrooms. By Gamifying history, the speakers meant turning history into a game to increase engagement. The speakers studied what games work to educate, how prejudice can affect how games are made, and how to most effectively and easily create games that will be usable in class. In particular, they talked about a certain balance one has to reach in making a game interactive, but also has the events and endings that will help students learn the history the game is trying to teach. Also important is what aspects of the historical topic one hopes to teach. Some games are good for teaching geography, but not for historical events; others are good for systems or structures of a culture or people, but bad for geography or cause and effect. I will definitely introduce games and gamified history in my classes. I also am excited to experiment and (hopefully) find out how to make those games both effective and fun and shows them how history can be significant in thinking about the world today. Seminar on Gamifying History, which was full of resources and ideas I plan to use in my own teaching. The second idea I found useful was a panel I saw on bringing college professors to high school classes. This panel talked about how in Utah and Philadelphia high school educators were able to bring professors from local colleges to high school classrooms and have them teach short lessons on topics of their choice. This panel all argued that for students, having a professor come occasionally and teach college level information helped alleviate anxiety in talking with all sorts of authority figures and really helped the students see the world, particularly historically, in a new light. Reaching out to professors is important as a high school teachers, especially in making them feel like history matters. I also want to have a more collegiate feel to my classes, particularly my more advanced courses, because that also will give them insight into why and how history affects and matters in our world today. This conference was well worth it, especially these seminars, and I thank both the Taylor Center and the National Council of Public History for making this experience possible for me. This has helped me work on the question of how whether history is meaningful for students, and I will enter my teaching career with new ideas and tools to work on making it matter to them and in their daily lives.